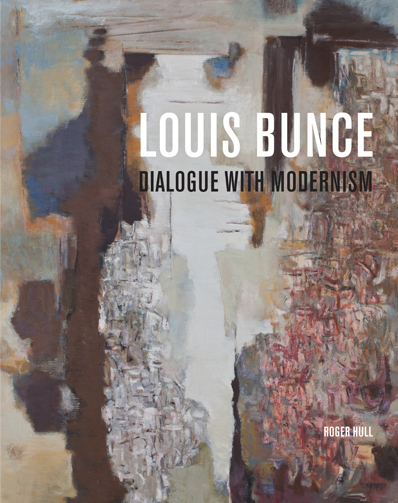 The Hallie Ford Museum of Art is pleased to present a major retrospective exhibition for Louis Bunce (1907-1983), a legendary Portland painter, printmaker, and teacher who taught at the Museum Art School from 1946 to 1972 and who influenced several generations of Oregon artists. Organized by Professor Emeritus of Art History and Senior Faculty Curator Roger Hull, the exhibition will chronicle the artist’s career over a 57 year period and features 49 paintings drawn from public and private collections throughout the United States. 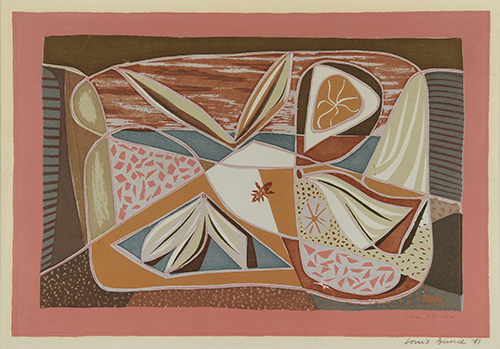 Hull says, "Bunce was Oregon’s archetypal modern artist of the mid-twentieth century. 'Louie,' as he was called, was ambitious, gregarious, fun-loving, women-loving, antic and outrageous. He was deadly serious when it came to art-making and engaged with it all: Cubism, Surrealism, Abstract Expressionism, Post-Modernism, and at the end of his life almost operatic Romanticism." Born in Wyoming, Bunce moved with his family to Oregon in his youth, studied at the Museum Art School for a year, and moved to New York in the late 1920s to study at the Art Students League. At the League, he met Jackson Pollock, another Wyoming native, and they established an on-going friendship that lasted until Pollock’s death. In fact, it was Bunce who introduced Pollock to artist Lee Krasner, who would eventually become Pollock’s wife. Although Bunce returned to Portland, Oregon, he maintained strong ties with many other notable artists of the New York School throughout his career. As a painter and printmaker, Bunce was a rising star in American art of the 1940s and 1950s. In painting, his WPA work from the 1930s gave way to inventive Surrealist forms in the 1940s, to nature-based abstract expressionist work in the 1950s and 1960s. 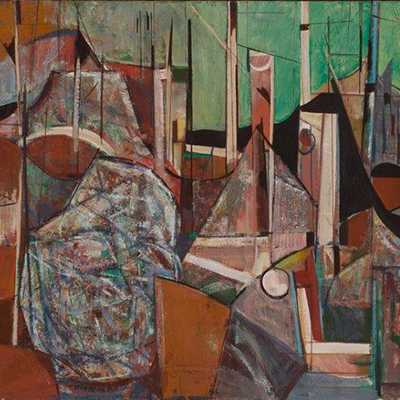 He and his work were featured in a full-color article in Life magazine in 1957, and he was represented in New York by the John Heller Gallery and the Doris Meltzer Gallery. In the 1970s, he experimented with hard-edge geometric compositions and Pop-related imagery while his last works feature light-saturated seascapes. Louis Bunce is known for his paintings on canvas and panel, but throughout his long career he also worked on paper, creating a vital body of prints, drawings, and paintings in gouache and other media. He pioneered serigraphy as a fine art in the Northwest thus helping to transform what had been a means for mass production advertising into a medium for limited edition fine art printmaking. Organized by professor emeritus and senior faculty curator Roger Hull, this exhibition opened Nov. 5, 2016, and continues through January 29, 2017, in the Print Study Center. Friday, January 20, 2017 at 5 p.m.
Friday, January 20, 2017, 6 - 8 p.m.
Tuesday, January 24, 2017, 4:30 - 6 p.m. 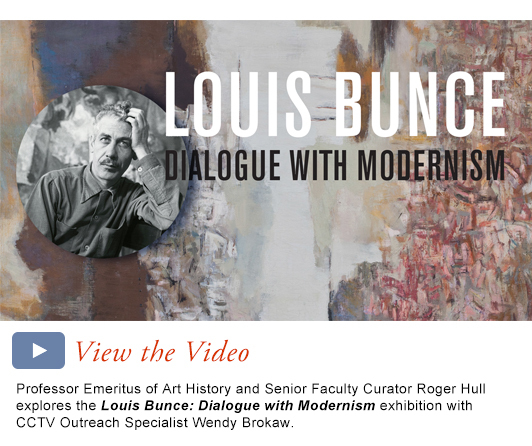 Educators are invited to join Elizabeth Garrison, The Cameron Paulin Curator of Education, for a preview of the exhibition, Louis Bunce: Dialogue with Modernism at the Hallie Ford Museum of Art. This workshop is designed to help teachers prepare students for a field trip to the exhibition, as well as broaden curriculum concepts for use in the classroom. The exhibition continues through March 26. Advance registration for this free workshop is required by January 23 by calling 503-370-6855. Sunday, January 29, 2017 at 2 p.m.
Sunday, February 26, 2017, at 2 p.m.
Sunday, March 26, 2017, 2 p.m.
Financial support for the exhibition was provided by funds from the Maribeth Collins Art Exhibition Fund, and by general operating support grants from the City of Salem’s Transient Occupancy Tax funds and the Oregon Arts Commission. Financial support for the book was provided exclusively by a major grant from The Harold & Arlene Schnitzer CARE Foundation. 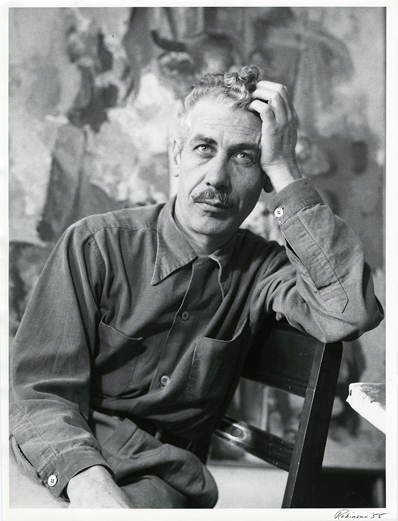 Gerald Robinson, "Portrait of Louis Bunce," 1955, gelatin silver print, collection of the Hallie Ford Museum of Art at Willamette University, gift of Mutsumi and Gerald Robinson.